MISSION: Arbor Management is committed to excellence in the management of plantation forests thus enhancing the value of their clients assets. OBJECTIVE: To provide the highest quality forest projects with the security of a team of qualified, experienced and recognised forest management professionals committed to excellence in product and performance. Arbor Management Limited incorporated in 1992 to provide forest management and consultancy services. Peter is Managing Director and principal shareholder of the Arbor Forestry group of companies. He has more than 40 years experience in forest management. In 1981 he formed his own forest contracting and management company and floated his first public partnership company in 1986. Peter is a graduate of the New Zealand Forestry Training Centre and holds a T.C.A. Forest Rangers Certificate. Richard is a Director of the Arbor Forestry group of companies. He trained as a Forest Manager with NZ Forest Products Ltd and graduated from the New Zealand Forestry Training Centre with a T.C.A. Forest Rangers Certificate. Prior to his return to the forest industry, Richard has run his own fruit growing business for fifteen years and was actively involved in the processing and marketing sectors of the horticultural industry. Woody is the newest member of our team having graduated with a Diploma in Forest Management from Waiariki Institute of Technology in 2012. Woody brings new, innovative technology to the business to assist with estate and harvest planning. 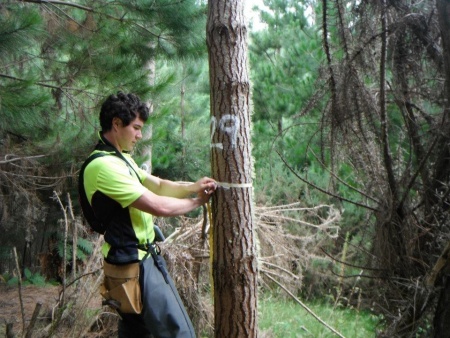 He also manages all day to day operations including silviculture and harvest management from Wanganui. Rosemary is the office manager at Arbor, based out of the main office in Wanganui. She oversees the day to day office operations and is an integral part of the business. Rose has been with the company for 17 years.